It’s been a while since my last diary entry, so I thought I’d post a few updates. 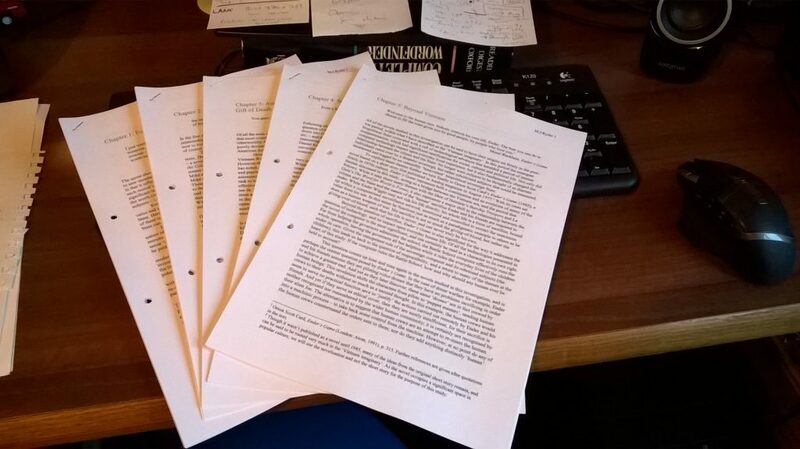 I’m making good progress with my PhD and hope to have a first draft of sorts ready in time for Christmas. I’m also still working on various publishing projects, including a piece in Blade Runner 2049 and Philosophy, and two chapters in a book on 1960s science fiction. My thesis currently stands at 84,000 words. That’s 4k over the word count, and I still have to add in the front page, contents page, abstract and acknowledgements. I also need to make a few changes to the introduction and conclusion. At the moment, I’m working my way through each of my chapters in turn, revising them ready to combine into a single document which I can then start going over in more detail in the new year. Overall I’m fairly happy with my progress, and hope to be on course to submit at the end of my third year. I’m still waiting on feedback for my chapter in Blade Runner 2049 and Philosophy, which has been provisionally accepted, though the editors are running a few weeks behind schedule. I’ve also recently completed work on two chapters for Fuzzy Revolutions – a book on 1960s science fiction. On top of these publications, I should have something going out in Foundation journal in spring of next year. Once I get the first draft of my thesis together I will look at working on another paper or two before the end of the academic year. I’ve recently started work teaching in the English department here at Lancaster University; I’m also teaching two weekly seminars in the Management School – both of which are going really well. I’ve very much enjoyed my time teaching so far, and am happy to take on more if it comes my way, as I’m keen to build my teaching portfolio to enhance my academic CV. Last month I attended the AHRC’s annual PG conference for the North West. This year’s event was held in Salford and seemed to go down really well. I was quite happy with my paper, though I’m not sure how well it went down, as it’s always hard to gauge the audience reaction at an interdisciplinary conference. I don’t have too many more conferences lined up just yet, though I am involved with organising the Fantastika conference here at Lancaster which will be held in August next year. Aside from conferences, I’m still involved with TTAC21, and still providing feedback on various papers for the fortnightly blog. At present, we’re not quite sure how much longer the project will go on as it’s been quite hard to engage other researchers in joining the discussion. While lots of people say they’d like to get involved, it has been rather frustrating at times as more often than not, it’s just Josh and myself having a conversation, which we can do any time! Whatever happens with it though, it’s been a good experience and even influenced my research. As regular readers may have noticed, I’ve recently published a book. It’s a ‘soft launch’ at the moment, as I’m still waiting on a few marketing materials before I start promoting it more widely, but you can now order your paperback and/or Kindle copy directly from amazon. You can also message me directly to arrange a signed paperback or hardback copy sent to you directly. Browse blogs about The Darkest Hour. Complete first draft of thesis. Do initial read-through with updates for consistency across entire work. 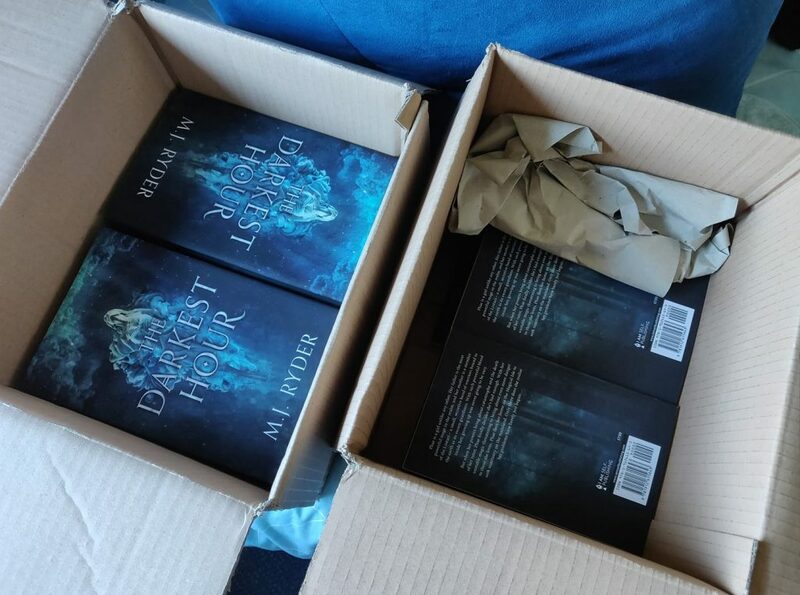 Launch The Darkest Hour ‘properly’. Engage with local book stores, libraries and online reviewers. Update MJRyder.net with new front page to emphasise research projects and prepare for life after my PhD. Create academic CV to upload to job sites. Start researching positions starting from September 2019. Continue work organising Fantastika conference to be held at Lancaster University, summer 2019. Work on next publications. Potentially a paper in Business/Management, plus a paper on Cixin Liu. Of course I expect there are other things that will come up, but this is a good outline. If I get most of these done by Easter, I’ll be happy.